There is no more inflammatory topic than the Arabs and the Holocaust—the phrase alone can occasion outrage. The terrain is dense with ugly claims and counterclaims: one side is charged with Holocaust denial, the other with exploiting a tragedy while denying the tragedies of others. In this pathbreaking book, political scientist Gilbert Achcar explores these conflicting narratives and considers their role in today's Middle East dispute. He analyzes the various Arab responses to Nazism, from the earliest intimations of the genocide, through the creation of Israel and the destruction of Palestine and up to our own time, critically assessing the political and historical context for these responses. Finally, he challenges distortions of the historical record, while making no concessions to anti-Semitism or Holocaust denial. Valid criticism of the other, Achcar insists, must go hand in hand with criticism of oneself. Drawing on previously unseen sources in multiple languages, Achcar offers a unique mapping of the Arab world, in the process defusing an international propaganda war that has become a major stumbling block in the path of Arab-Western understanding. 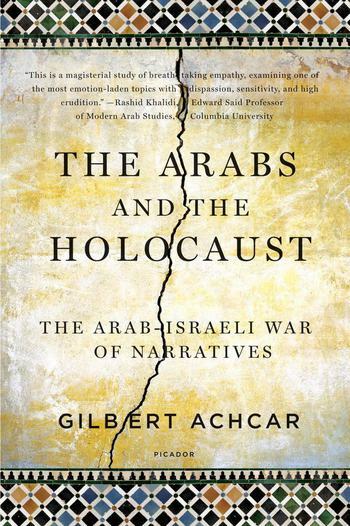 Gilbert Achcar, who grew up in Beirut, has taught at the University of Paris-VIII and at the French-German Centre Marc Bloch in Berlin. He is currently professor of development studies and international relations at the School of Oriental and African Studies in London. Among his many books are The Clash of Barbarisms: The Making of the New World Disorder and Perilous Power: The Middle East and U.S. Foreign Policy, co-authored with Noam Chomsky.